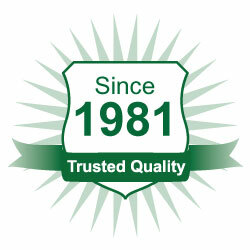 Our gutter protection system, Gutter Helmet, has been solidly performing for more than a decade for our customers. We partnered with Gutter Helmet to bring the product exclusively to market in Milwaukee, Madison and the Fond du Lac regions. 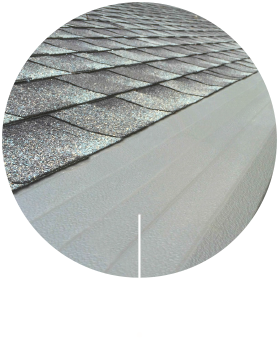 Installing thousands of feet per year, we are your local gutter experts. 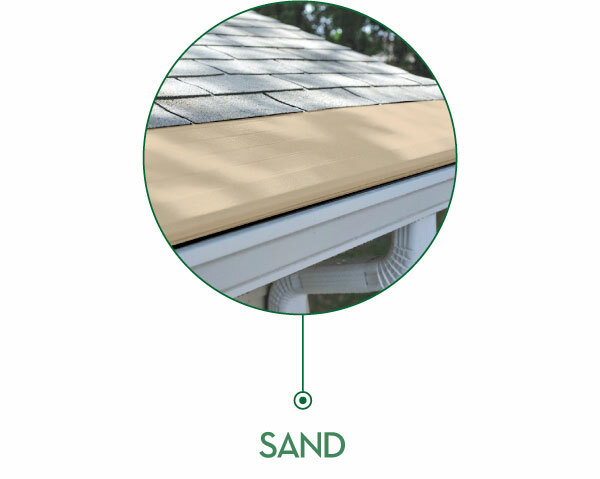 Never worry about cleaning your gutters with Gutter Helmet. You’ll stay safe and your gutter system will drain as designed for years to come. 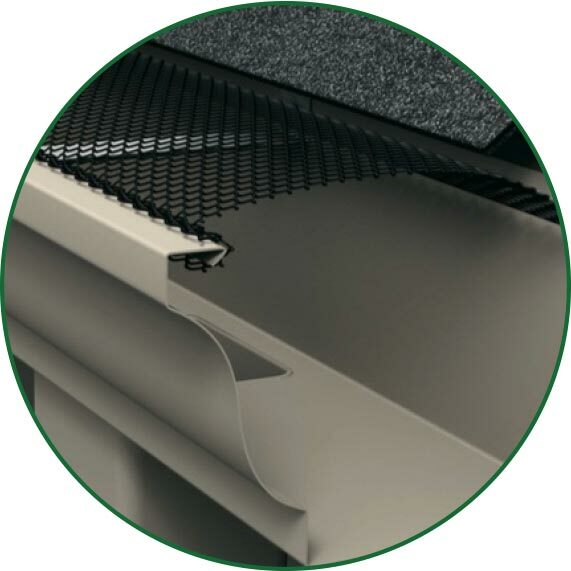 Here at Gutter Helmet®, we’ve worked hard to come up with an innovative product that filters rainwater through your gutter protection system while still keeping the debris and gunk from clogging up your gutters. Our patented system is one of the best gutter protection systems offered to consumers, and works by utilizing the concepts of surface tension and gravity. 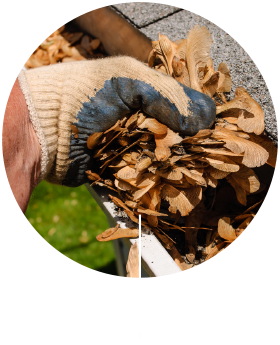 With a Gutter Helmet system, we guarantee you won’t be spending your weekend cleaning out your gutters. 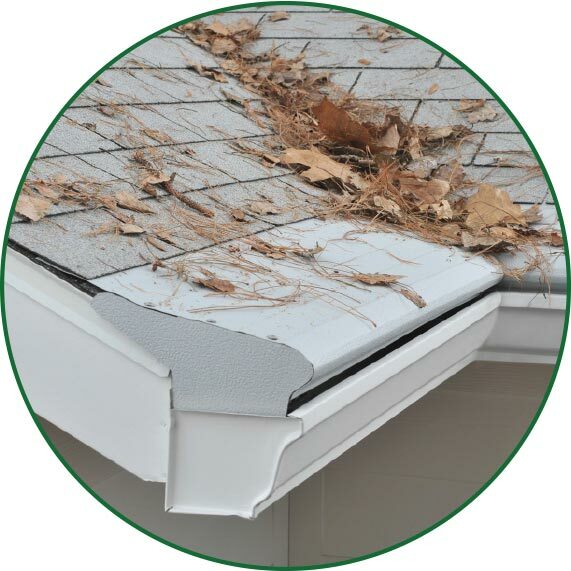 While Gutter Helmet is busy capturing every drop of rain that falls on your roof, it is also rejecting every leaf, twig and bits of debris that come along with the rain. 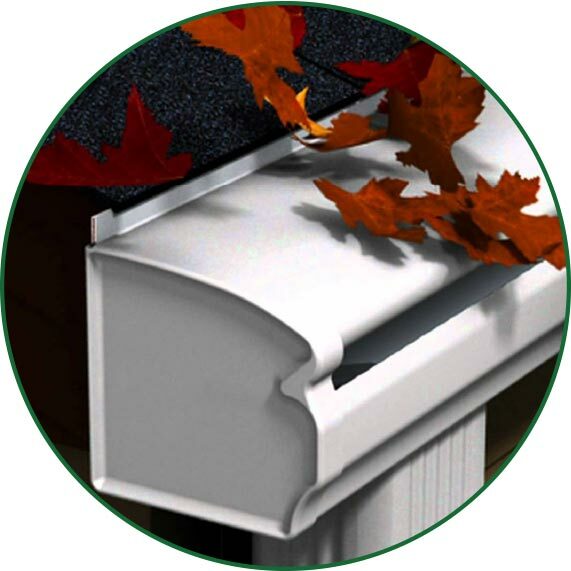 As rain flows around the rounded edge and into the gutter through the small slit, leaves and debris cannot pass through the narrow opening and they continue their downward direction and drop to the ground. Only Gutter Helmet’s patented design is so remarkably successful at keeping gutters clean, day after day, and year after year. No wonder more American homes are protected by Gutter Helmet than any other system. 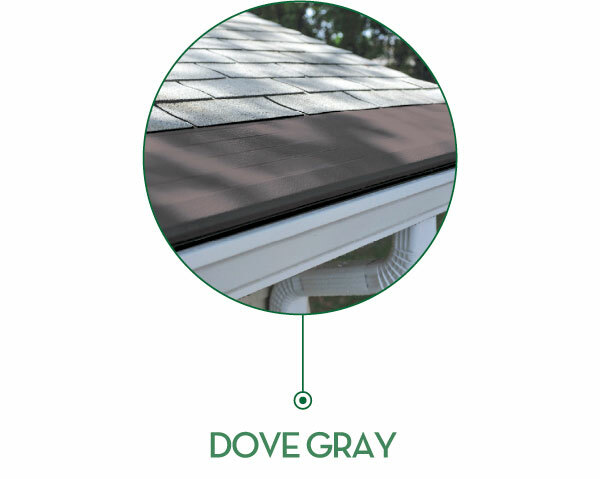 Gutter Helmet not only saves you time and worry—it also adds beauty to your home. Constructed of durable but lightweight aluminum, Gutter Helmet is protected by a patented PermaLife finish, which is available in a number of gutter colors to blend with your home. 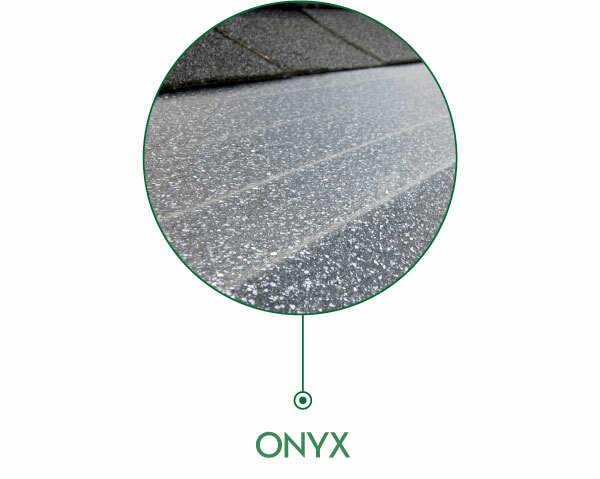 The textured PermaLife finish is not only beautiful, but it provides ultimate protection from acid rain and other harmful elements in the air. This assures you that Gutter Helmet’s original beauty will never become discolored or stained over the years. 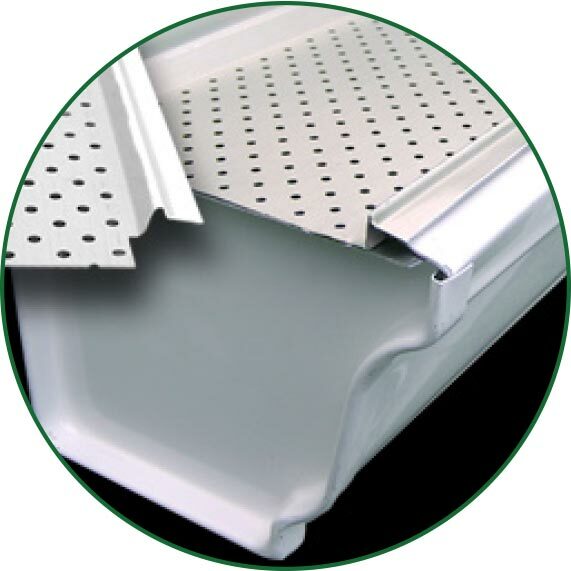 Gutter Helmet is installed over your existing gutters by trained professional craftsmen. 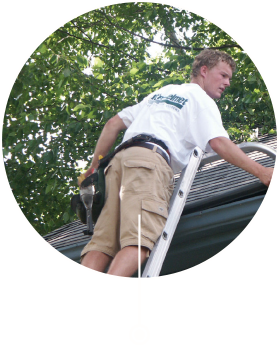 Before installation, if your existing gutters need cleaning and minor repairs, your Gutter Helmet installer will provide them at no extra charge. 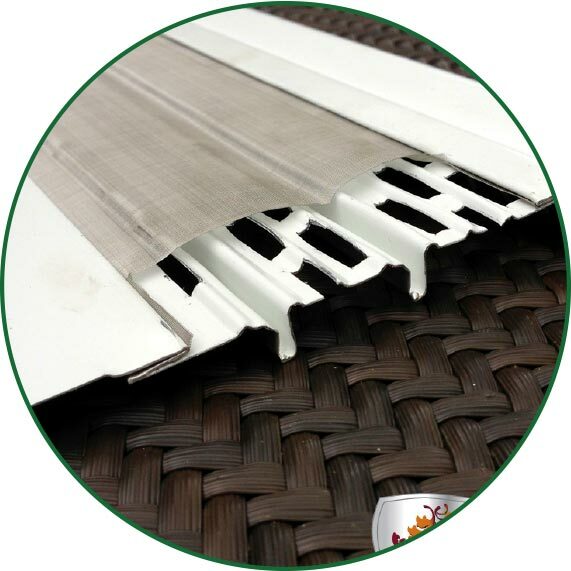 All care is taken to protect your landscaping and grounds during the installation of your gutter system. And if your roof is under warranty, it will not be affected by Gutter Helmet installation. Gutter Helmet’s methods have been evaluated and approved by major roofing manufacturers.